Technology has radically altered the news landscape. Once-powerful newspapers have lost their clout or been purchased by owners with particular agendas. Algorithms select which stories we see. The Internet allows consequential revelations, closely guarded secrets, and dangerous misinformation to spread at the speed of a click. 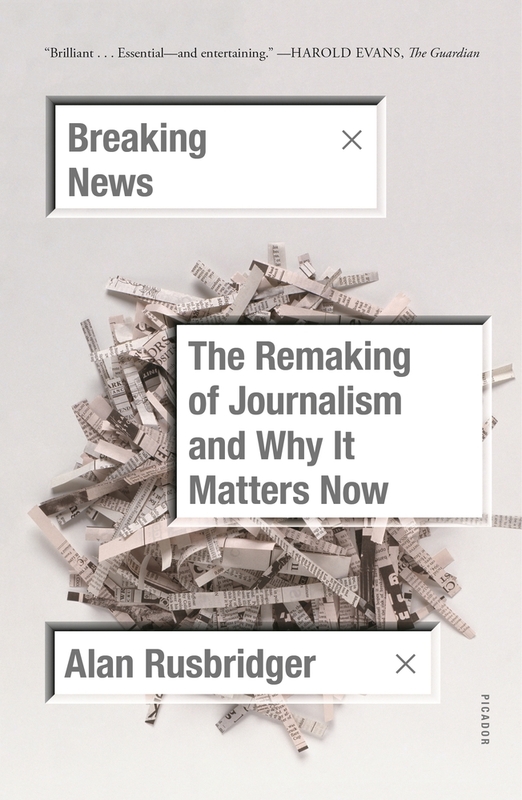 In Breaking News, Alan Rusbridger demonstrates how these decisive shifts have occurred, and what they mean for the future of democracy. In the twenty years he spent editing The Guardian, Rusbridger managed the transformation of the progressive British daily into the most visited serious English-language newspaper site in the world. He oversaw an extraordinary run of world-shaking scoops, including the exposure of phone hacking by London tabloids, the Wikileaks release of U.S.diplomatic cables, and later the revelation of Edward Snowden’s National Security Agency files. At the same time, Rusbridger helped The Guardian become a pioneer in Internet journalism, stressing free access and robust interactions with readers. Here, Rusbridger vividly observes the media’s transformation from close range while also offering a vital assessment of the risks and rewards of practicing journalism in a high-impact, high-stress time. Not Bowling AloneIn 2017, 40 years after joining my first newspaper, I find myself trying to describe the technology of those beginner times to a class of bright young students at Oxford.